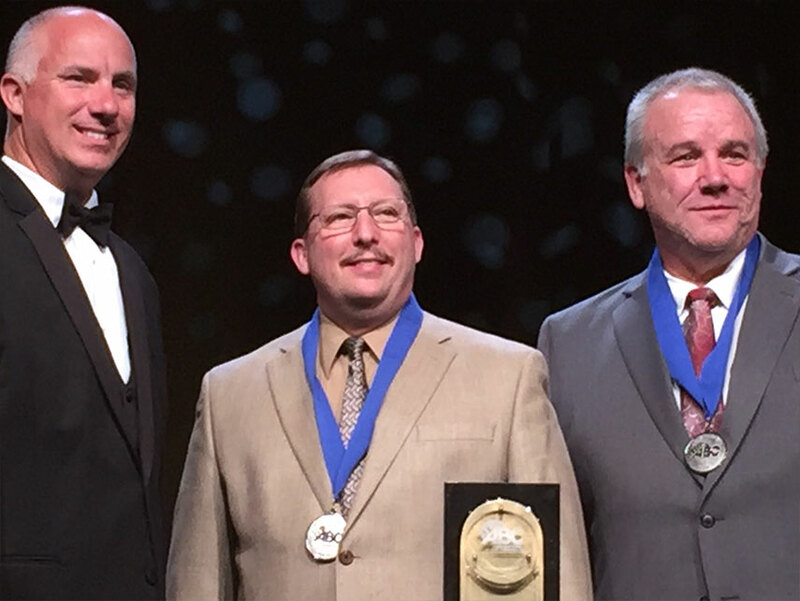 MIDLAND, MICH. – Paul Crivac, Safety Director, and Brian Powers, Assistant Safety Director, accepted the Associated Builders and Contractors National Safety Excellence Award at the 26th Annual Excellence in Construction Gala on March 2, 2016 in Fort Lauderdale, Florida. Three Rivers outperformed contractors from around the nation to win this prestigious award and were the only company honored from Michigan in any category. This award demonstrates that Three Rivers Corporation is dedicated to working safe. To be considered for this award, companies must have OSHA recordable incident rates and lost work day cases that are at least 25 percent lower than their industry average. The winners also must have an exceptional safety program and impressive past safety record. Three Rivers’ is honored to have won this award eight times since 2000. Companies are only eligible to apply for this award every other year. “We are thrilled to receive an award like this, we are so grateful for the commitment that we have to safety in our culture across the board. Our team is very responsive to making an effort that everyone on and off every job site is safe. The reason our program is as an award-winning one is because of our people and their commitment to safety,” said Paul Crivac. Three Rivers Corporation has re-emphasized our safety program by branding the “Walk the Talk” slogan to help keep their workers focused on the highest safety performance. We have also have instilled The Five Key’s to Safety; Top Down Commitment, Strong Safety Program, Safety Culture, Continuous Improvement, and Sustainability. “Safety is a way of life at Three Rivers. This award demonstrates the commitment for safety that our people have for those we work with and those we work for,” said Randy Sherman, Three Rivers Corporation President.